Water deluge fire sprinkler system is similar to a pre-action system except the sprinkler heads are open and the pipe is not pressurized with air. Deluge systems ore connected to a water supply through a deluge valve that is opened by the operation of a smoke or heat detection system. The detection system is installed in the same area as the sprinklers. When the detection system is activated water discharges through all of the sprinkler heads in the system. 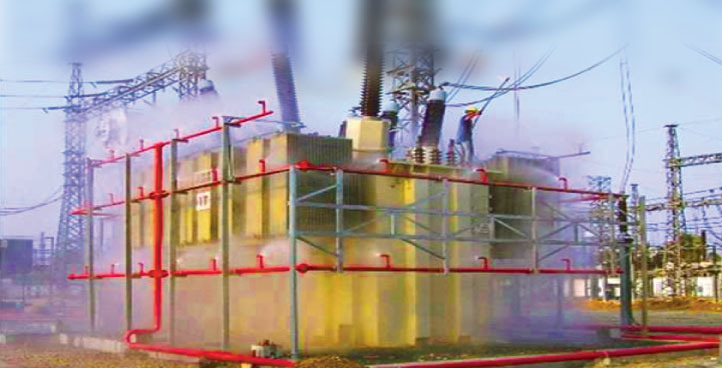 Deluge systems are used in places that are considered high hazard areas such as power plants, aircraft hangars and chemical storage or processing facilities. Deluge systems are needed where high velocity suppression is necessary to prevent fire spread.